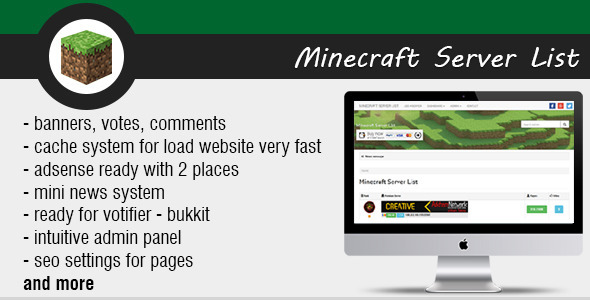 Minecraft Server List is a system you can create your website with minecraft servers. This script include many settings for you servers, searching system and powerful admin panel. Every server has a rank depending of the importance earned through votes and online activity.